And yet, there is no where it really belongs. Fabric is taking over my house, people. And this is not even showing my basement fabric storage area. 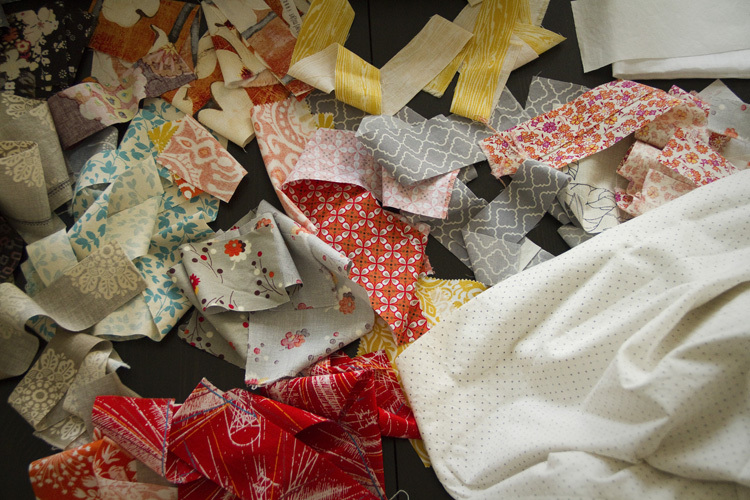 I need to get all this quilty-ness contained, and short of taking over the master bedroom (which I have not yet brought up with the Husband… ) I think my best option is to scoop it all into this officey-kind of room that we have at the front of the house. We’ve tried using that room for a couple of different things and it’s just weird, no one ever goes in there except when I remind my son to go practice the piano. So 20 minutes a day, tops. 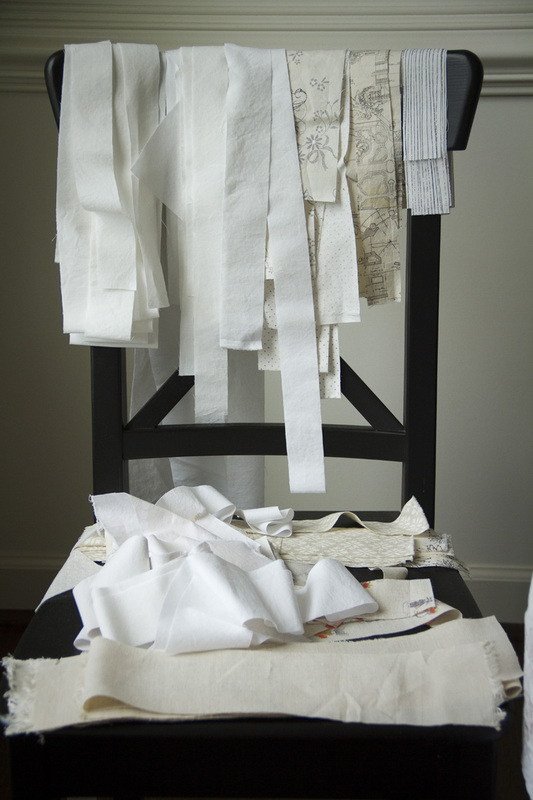 I’ve been craving a space of my own; one that I can decorate with pretty fabric stacks and bowls of perle cotton, a little place where I can go to get lost…The only problem is that the room does not have a door, and it is open to pretty much the rest of the house. We could put up a big curtain, but a big new curtain is going to be very attractive to little people, and certainly won’t keep the smallest one from going in there and wreaking havoc as she tends to do. What to do? Love it! What about a screen? I just saw an awesome one at TJ Maxx. Gray, shabby chic look–looks like it is made from window shutters. Ha! This is great. 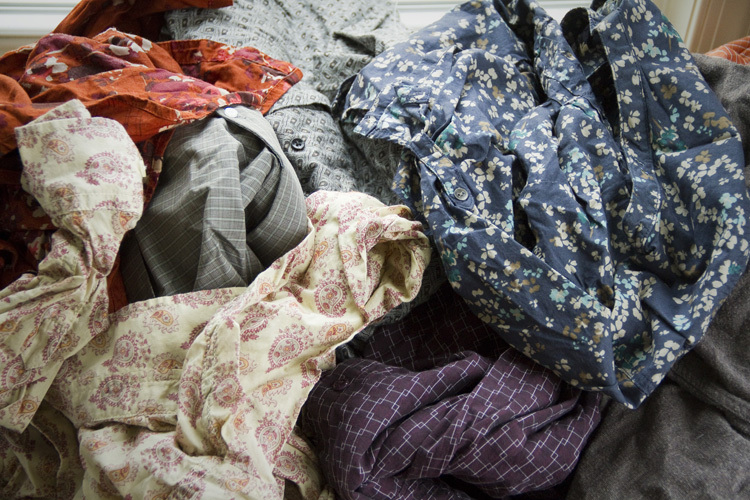 Gee, I don’t know why you haven’t told Garrett you’d like to take over the master bedroom with Fabric yet…. Yes, it seems like the best option is that front room, and yet I understand about not exactly being able to “get lost” in there. Can’t wait to see what you come up with! 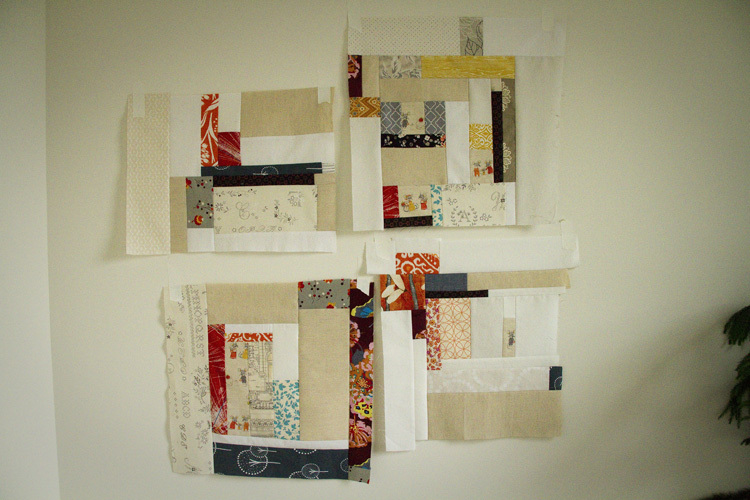 Btw, I LOVE those quilt blocks! They’re so beautiful and interesting to look at. I can’t wait to see the finished quilt! (Heh-heh.) Hope we can get another Craft Day in at some point. I don’t see why it matters about where these things exist in your home if you are not getting complaints then enjoy the freedom to spread out. It sounds like you might be craving a display area more than consolidation of all your variously purposed rooms. I am admiring that project you are showing on your design wall. Isn’t it fun to improvise a block design over and over using a series of colors and shapes that complement one another? 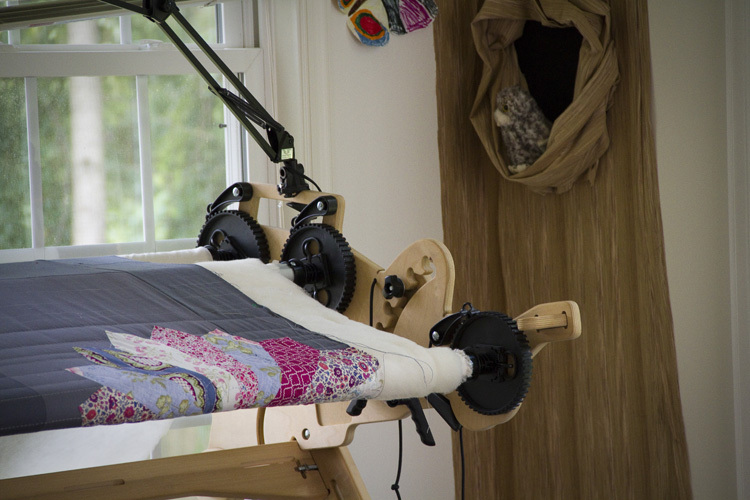 Those Gee’s Bend quilters have the right idea! Mine is ready for a reveal soon as I can figure out how to photograph it on display. I am looking forward to the next DCMQG meeting. It’s so fun to hear how other people work! I don’t mind that my stuff is all over the house, not at all… my frustration is that it has no where to go when it’s time to clean up. So I pile it on a table in the basement. Some more shelving or something is in order. Thanks for admiring my new project. I have been wanting to do something along those lines for a long time and I was surely inspired to start by the success of your recent “Orange Explains It” quilt. It’s very interesting to see how many quilters can use the same techniques and yet end up with something so uniquely their own. I think that is why the process of improvisation appeals to me so much more than following a pattern. after a future exchange of an given asset at a predetermined price. This has happened in slow increments which is why I haven’t noticed, of course if I did would I really tell you 😉. What am I returning to after a week in Seattle Seattle though? 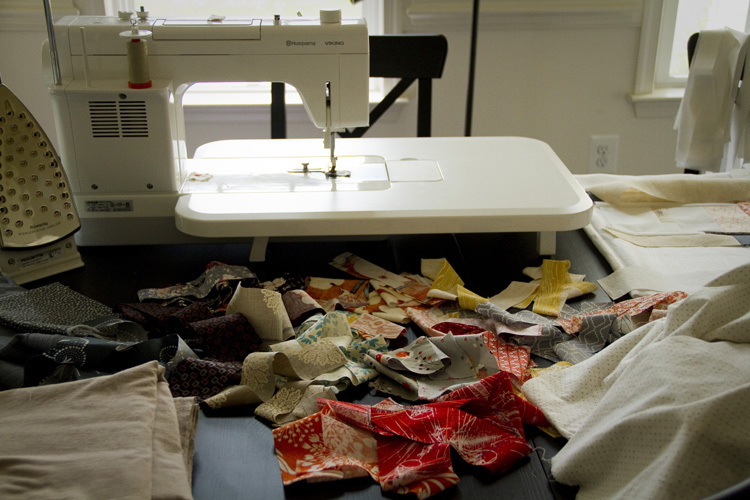 Hmm, I think most quilters have this problem! My house is constantly evolving as my kids grow older. The curtain idea sounds complicated to me. I am always looking for the least problematic solution when it comes to the kids. Could you just put up a kids’ gate for the time being? Then you could limit the access to when it’s convenient for you. And just take it down when your youngest is old enough to go in there. 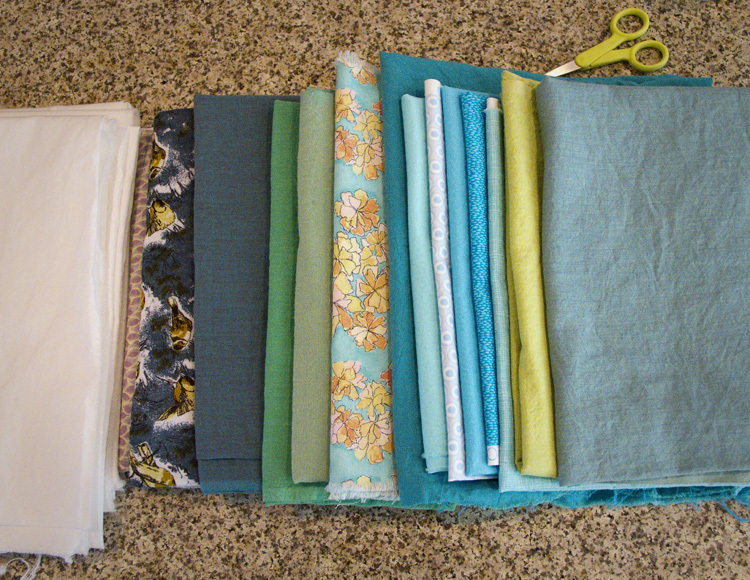 I have my own sewing space and although it’s nice, I kind of miss sewing on the kitchen table. Now I never sew during the day and feel a little shut off from the rest of the world when I go in and shut the door at night. Good luck figuring something out!